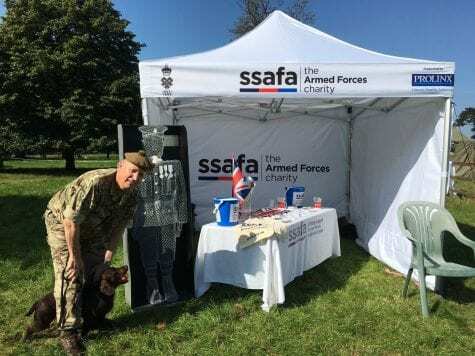 Prolinx have donated £1,500 to SSAFA which will support their presence at this year’s Royal International Air Tattoo, held at RAF Fairford in July. Prolinx’s support of SSAFA, the Armed Forces charity, goes back many years and enables SSAFA to help veterans and their families. This year, the charity’s stand at the Air Tattoo will comprise of a World War 2 focus with re-enactors and stories from veterans. The Air Tattoo, one of the UK’s premier outdoor events, takes place from 14-16 July 2017 at RAF Fairford in Gloucestershire with a variety of entertainment for all the family.